Melbourne & The Beaches offers majestic views to help seize the day and spend time with people who matter most to you. 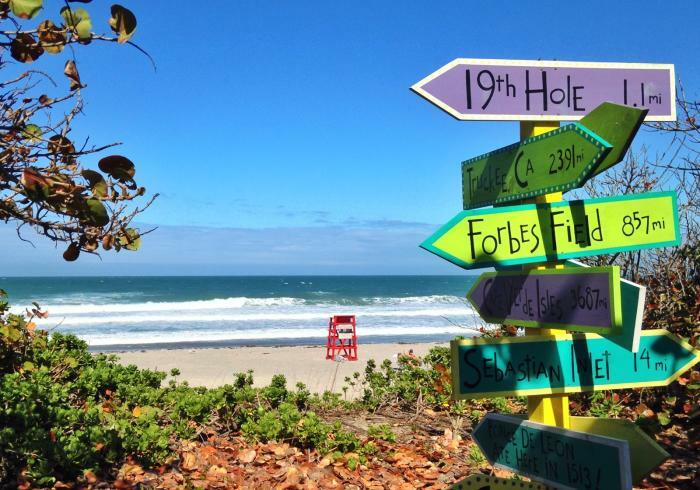 Of course, you can always spend a day at the beach or paddle through the Indian River Lagoon to enjoy the scenery, but we like to think waterfront dining in Melbourne, Florida is a great way to take the view in. Here are five waterfront restaurants that will not only fill your Instagram but also your stomach. 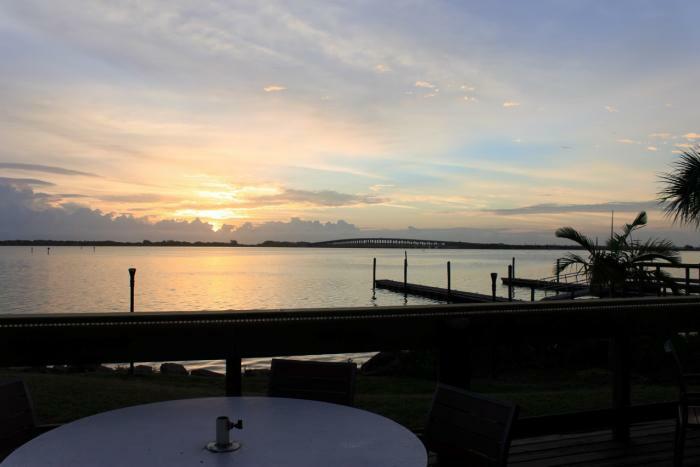 Take in the sunrise at Grills Riverside on the Indian River Lagoon. Serving breakfast every day from 7 to 10:30 a.m., Grills backs up to the Indian River Lagoon where you can see dolphins play and birds dive for fish as the sun peaks over the horizon. 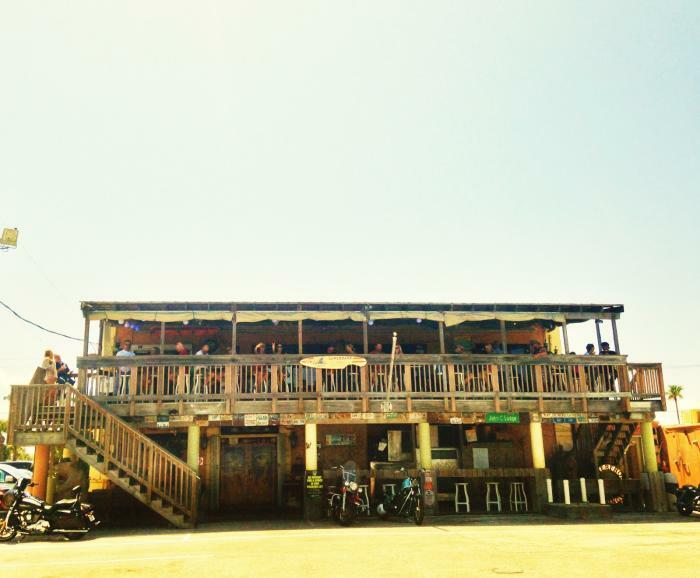 Sand on the Beach Bar and Grill’s upper deck gives you a bird’s eye view of the coastline. Open to the public, you’re welcome to sit back and take in the sunrise. The restaurant starts serving breakfast at 8 a.m. and the menu has a quite a variety. Lou’s Blues Bar and Restaurant in Indialantic has it all. 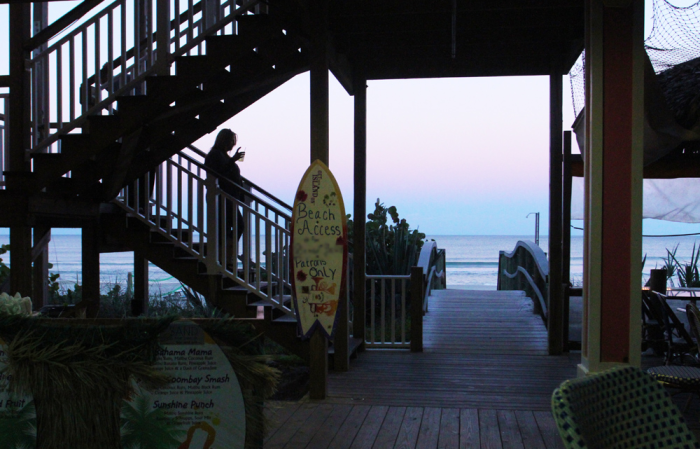 Overlooking the beach, the unique cuisine and live music every night makes it a local’s favorite. Their menu is chock-full of delicious yet hilarious items. You haven’t lived until you’ve ordered their mammoth-sized Dragon (turkey) wings, experienced fire breathing from their Red Hot Chilli Peppers, and dug face-first into their Swiss and Mushroom Psychedelic Burger. Squid Lips Overwater Grill in Melbourne has such an enormous menu list, it almost needs a bookmark. They’re well-known for their Oysters Moscow, served raw or steamed, and topped with horseradish-infused sour cream and caviar. They offer an ever-changing list of Happy Hour food and drink specials from 3 to 7 p.m. weekdays, and from 2 to 5 p.m. weekends. Squid Lips also has live music nightly. Come by boat or car, and be sure to wear your dancing shoes. Billie’s on the Beach is a fun, little walk-up burger stand in Spessard Holland North Beach Park. It’s almost a mile south of Ocean Avenue and across the street from the Spessard Holland Golf Course. Make sure you try the conch fritters with the spicy boom-boom sauce; they’re not to be missed. Everything here is made to order from the fresh-cut fries to their hand-pressed burgers. 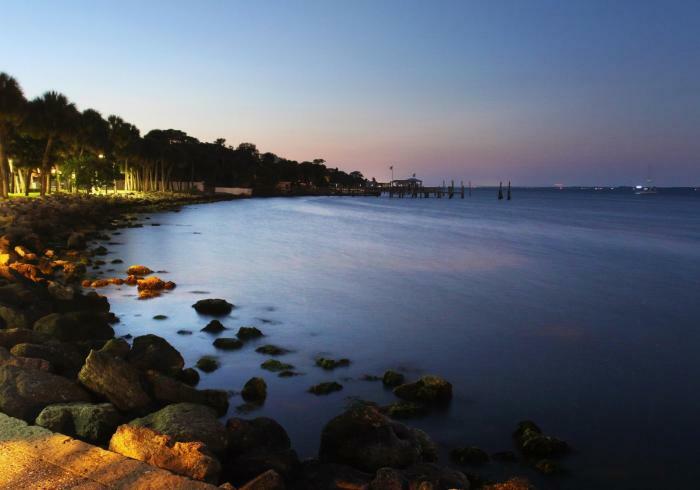 Waterfront dining is not to be missed when visiting Florida’s Space Coast! To see more dining options, check out all the restaurants here.